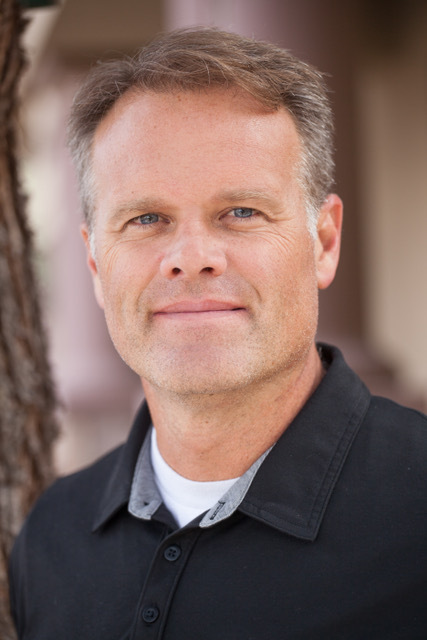 Dr. Noel Williams was born and raised in Pocatello, Idaho. He comes from a family of dental professionals. His dad was a dentist, he has two sisters who are hygienists, a brother who is a dentist, and another who is an orthodontist. Dr Williams served a two-year mission for his church in Southern Texas. Dr Williams graduated from BYU in 1994. He attended dental school in Houston at the University of Texas. He graduated at the top of his class in 1999. He went on to complete his 2 1/2 year orthodontic residency while simultaneously earning his masters degree in Houston, Texas in 2001. He completed his thesis on growing bone from cartilage. 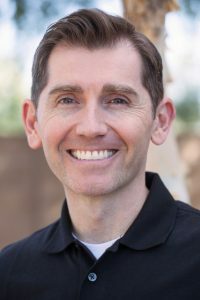 When Dr. Williams is not improving people's smiles, you can usually find him on the lake surfing, golfing, road biking, or spending time with family. In the winter he loves to snow ski. His favorite vacation is at Lake Powell with the family. His favorite word is “focus,” which he uses most often with his kids! Dr. Blacker was born and raised in Idaho. He graduated from BYU before starting dental school and orthodontic residency at UNC-Chapel Hill. Dr. Blacker and his family spent sixteen years in North Carolina between his studies in Chapel Hill and practicing in Concord, North Carolina. He has been treating patients for over ten years. He is active in his church and spent two years as a missionary in London, England. Dr. Blacker and his wife love living in Arizona. He enjoys road trips, easy bike rides, reading, following the UNC Tarheels, and making homemade pizza every Saturday night for his family. Dr. Blacker says that the best part of his day is working with his patients. He wants both patients and parents to be informed about the treatment and spends time during the appointments to discuss what happened that day and what to expect next time. He is passionate about getting the best possible result for each individual patient. He also enjoys hearing about what is going on his patients’ life outside of the office and discovering their unique personalities. Dr. Blacker’s wife reports that he will often come home and tell her the funny or heartwarming stories that patients shared with him that day; she enjoys seeing the happiness this part of the profession brings him. He believes time spent in his office should be an uplifting experience, so he and his team enjoy getting to know the patients and look forward to seeing them again during each appointment. Dr. Blacker received his Doctor of Dental Surgery (DDS) degree from the University of North Carolina at Chapel Hill School of Dentistry, where he graduated with distinction. He continued his education at UNC-Chapel Hill and went on to receive his Master of Science degree in Orthodontics. While there he was mentored by Dr. William Proffit, and was able to make contributions to the 4th edition of his text book Contemporary Orthodontics, which is the most extensively used textbook on the subject of Orthodontics in the world.